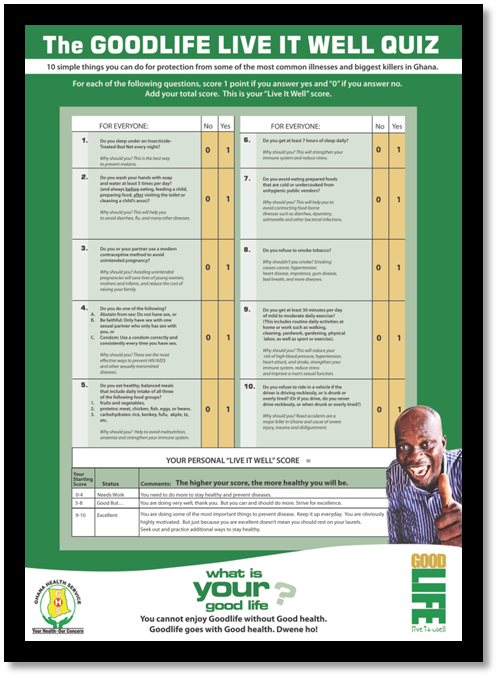 This health quiz and score card is part of the GoodLife Live it Well campaign in Ghana. It addresses “10 simple things you can do for protection from some of the most common illnesses and biggest killers in Ghana.” It helps individuals identify their “Live It Well” score, which ranks their disease prevention behavior. The score card was published in local newspapers and on flyers for use during community outreach.